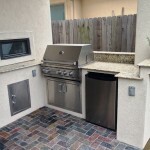 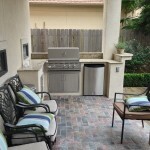 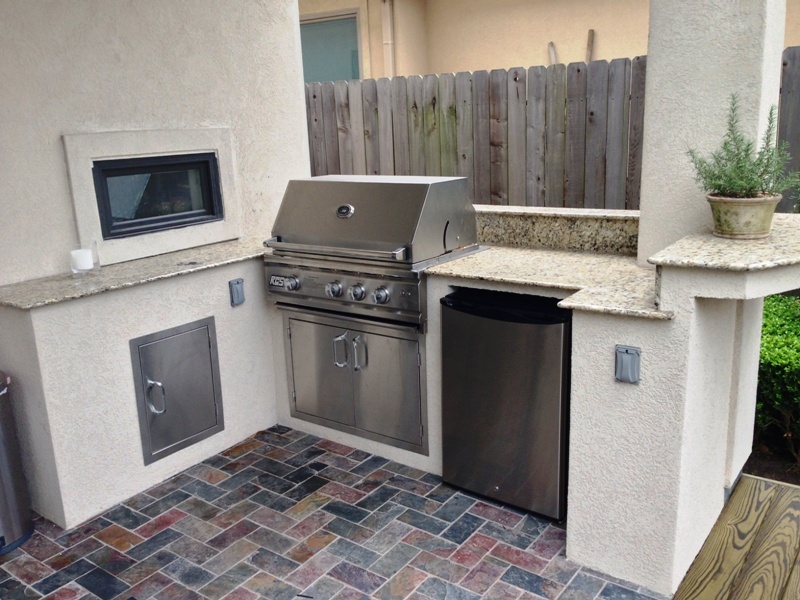 Houston Outdoor Living Spaces – Small Kitchen On Deck! 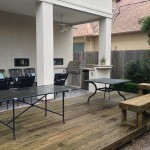 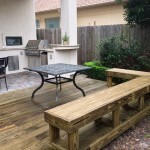 Welcome to Houston Outdoor Living Spaces – a blog series by Outdoor Homescapes of Houston on favorite outdoor rooms it has designed and built. 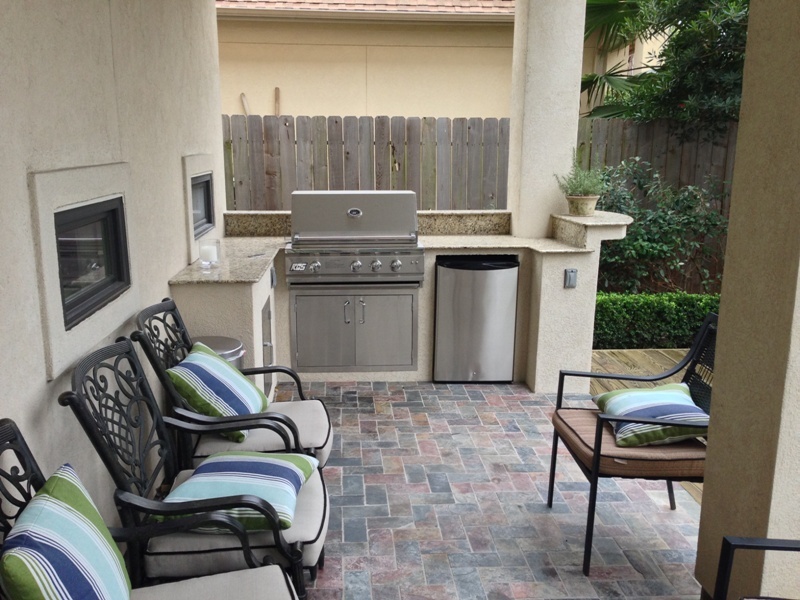 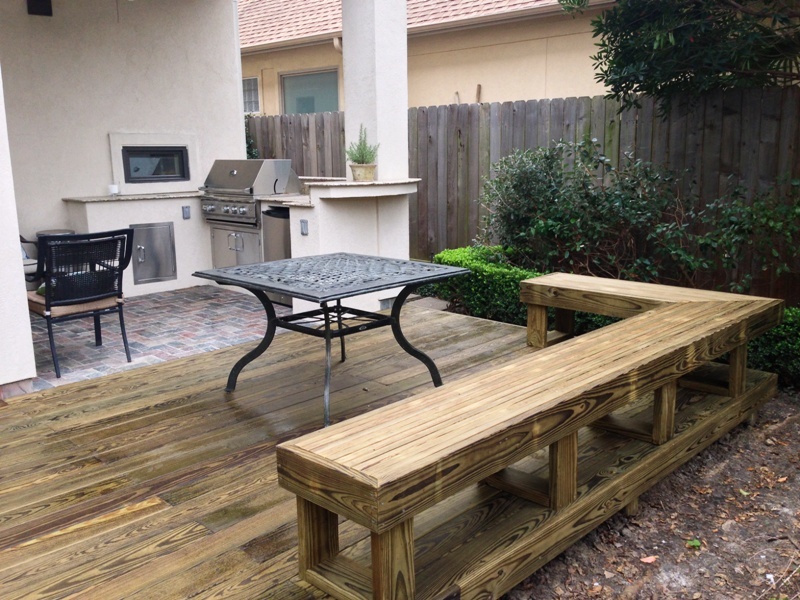 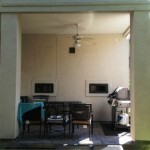 Our January 2013 project shows that even a small change to your outdoor living space can make a huge impact! 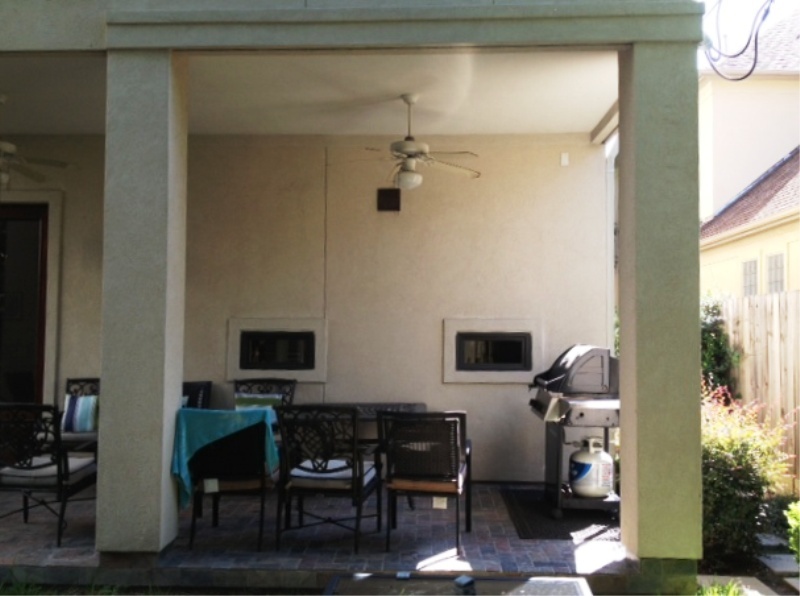 Here we added a small outdoor kitchen under the client’s existing covered patio and a beautiul wood deck with built-in benches. 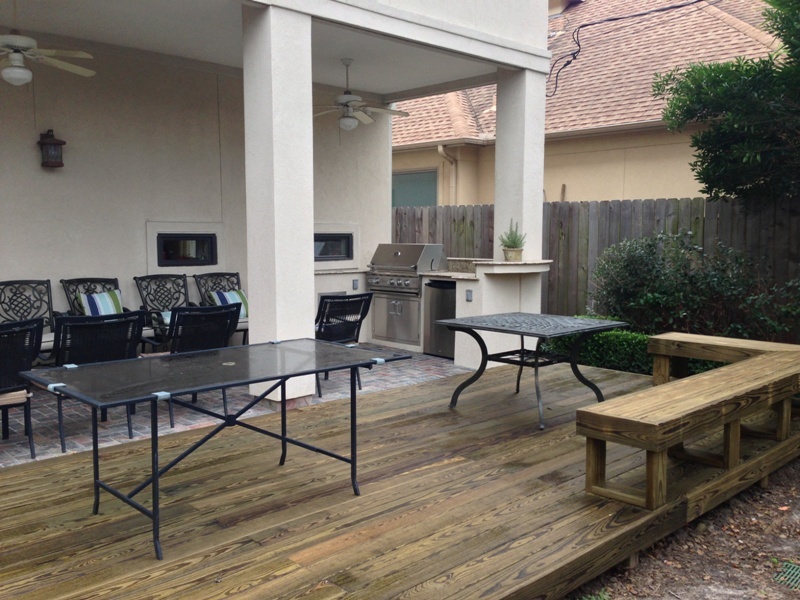 It is now a perfect place for entertaining.